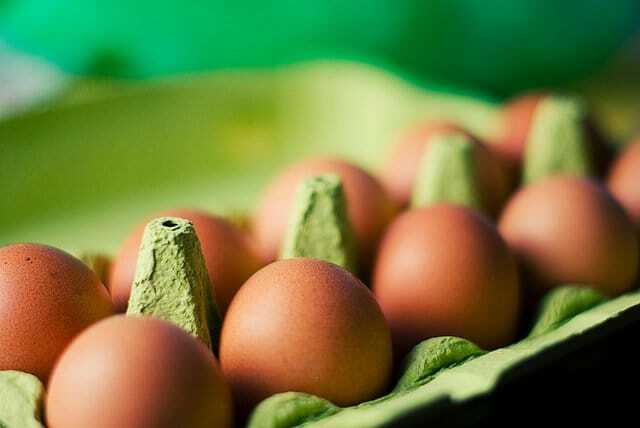 Egg cartons are increasingly cluttered with third-party certification claims and a myriad of potentially misleading statements. Some of these are meaningful to egg buyers, and some of them are nothing more than marketing gimmicks. The USDA’s Food Safety and Inspection Service (FSIS) is the agency responsible for ensuring the truthfulness and accuracy in labeling of poultry products. You can find their explanations for labeling terms on their website. However, many successful lawsuits claiming misrepresentation and consumer fraud illustrate that the FSIS is not really on guard. Cornucopia has de-coded the labels below to help you find the best eggs for your family. This label is entirely meaningless. The hens can be housed in battery cages with each bird allowed floor space less than the size of a standard sheet of copy paper. 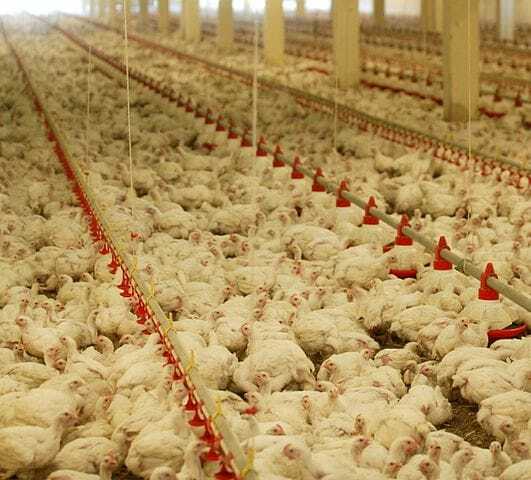 The hens are generally fed GMO corn and feed which may include animal byproducts, and they may be packed into giant industrial barns housing over a million birds. This is how the vast majority of laying hens are raised in the U.S. These horrendous conditions produce a very cheap egg in the market. Cornucopia notes that you get what you pay for in terms of flavor, nutrition, environmental impact, and quality of life for both birds and farmers. 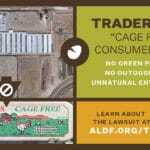 This label means there are no battery cages and the hens have an average of one to 1.2 square foot of space per bird. They are likely eating the same low-quality feed noted above, but they are able to perch, spread their wings, and walk around a bit more than if caged. This still leaves them more vulnerable to being injured or even pecked to death by other hens, and the air quality in these massive buildings is miserable. They spend their entire short lives indoors. Some of these operations have “floor birds” while others use aviary systems with multiple tiers, packing birds in every possible square foot, wall-to-wall, floor-to-ceiling. This is another entirely meaningless label, meant to draw in uninformed consumers. Any reference to not using hormones must include the clarification that “Federal regulations prohibit the use of hormones in egg and poultry production.” All eggs in commercial production in the United States are produced without hormones. This label guarantees the hens are “cage-free” and theoretically have some form of outdoor access. However, a “free range” label does not require a specific stocking density, guarantee frequency or duration of outdoor access, or determine what kind of outdoor access is actually provided to the birds. As Cornucopia has noted before (read our report, Scrambled Eggs), the USDA has agreed that screened porches, sometimes with concrete floors, may constitute “outdoor access.” And even when outdoor space is offered, after birds have been confined for the first 20 or more weeks of their lives, they oftentimes have no interest in going outside where there is no food, water, or shade. 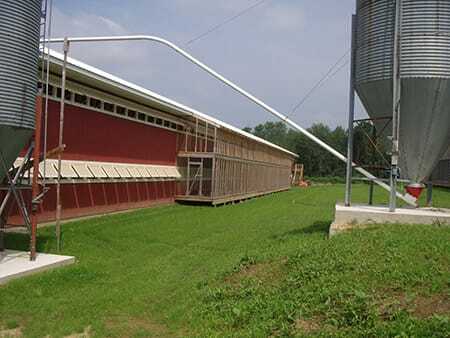 Large barns may have only a few pop-holes for birds to venture out. Sometimes the circulating fans in the barns can cause gale-force winds blasting through the openings, discouraging most birds from venturing outdoors. And some common door designs deprive birds of seeing the open sky. Instinctively scared of aviary predators, they won’t venture out. 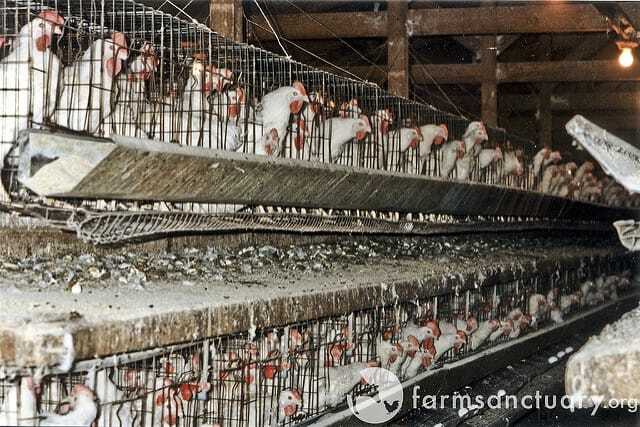 The vast majority of free-range birds in commercial egg facilities never actually go outside. The term “free-range” is not subject to USDA oversight, so there is a lot of room for marketing interpretation with this label. This likely means that the chickens are fed a grain-and-soy based diet only—their feed does not include animal byproducts. This label was popularized due to fear that disease would be spread by chickens consuming animal by-products. 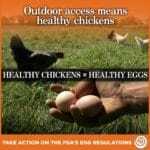 Unfortunately, it also means the hens, who are actually omnivorous, have no access to the animal protein from insects, worms, and other small animals they would eat if allowed outdoors. This diet requires the supplemental feeding of the synthetic amino acid methionine. This means the hens’ feed has been fortified with omega-3s, likely from a small amount of flaxseed. If a hen is allowed to forage in well-maintained outdoor environments, their eggs are often higher in omega-3s without supplementation due to their more natural diets. 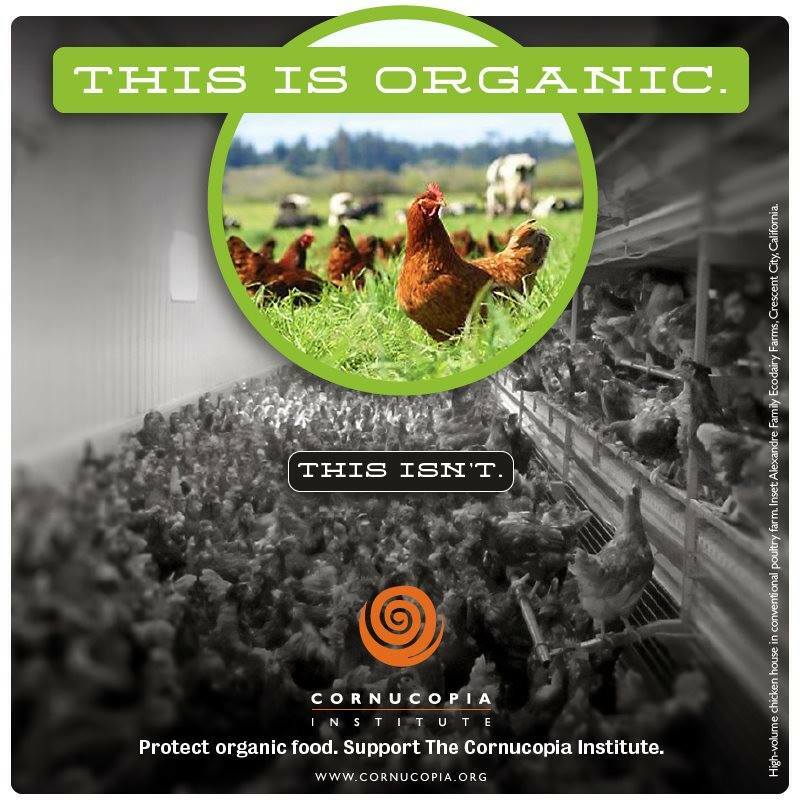 The USDA organic label means the hens must have outdoor access, cannot be caged, eat exclusively certified organic feed (meaning no feed grown with pesticides, herbicides, and chemical fertilizers), and are not given antibiotics. Still, the USDA has allowed producers to use screened porches in place of true outdoor access. And many “organic” laying houses are massive, containing as many as 200,000 birds. You can use Cornucopia’s Organic Egg Scorecard to find truly organic eggs at the market. The term “pasture-raised” is not regulated by any government body, aside from basic laws preventing labels misleading consumers. For example, a chicken producer who lets their broilers out onto grass only a few hours a week may be able to label their product pasture-raised. Since there is no set standard for this term, and it raises bucolic visions of chickens and turkeys pecking at insects and eating free-growing vegetation, this term can be extremely misleading. 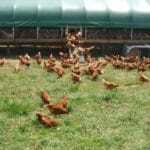 However, some producers that “pasture-raise” their hens represent the gold standard of egg production. 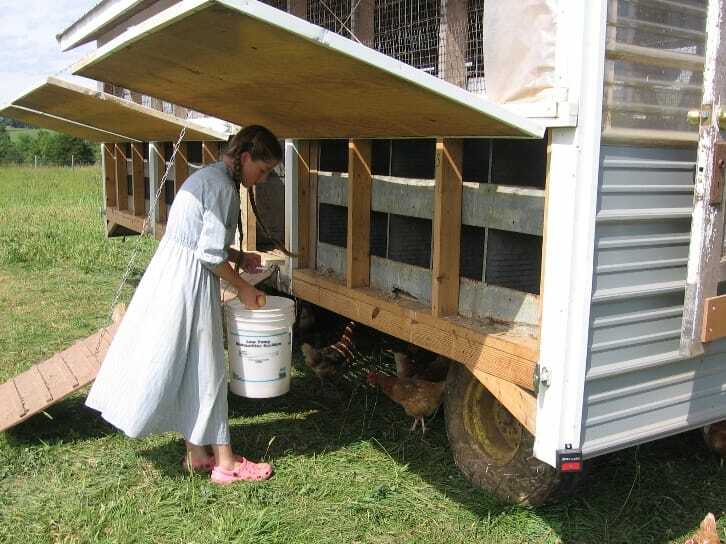 These producers only confine their hens at night and during inclement weather–rotating their mobile chicken coops out in the pasture. They are otherwise free to wander outdoors and into the coops at will. Pasture-raised operations vary widely. Depending on the pasture quality, the hens may forage insects and worms to supplement their diet. Joel Salatin, who literally wrote the book on pastured poultry, says that even with best practices, 85% of what the birds eat during the summer is stored grain. In the winter, stored grain might be 100% of their feed. So it’s very important that the hens laying your eggs are eating certified organic grain. “Local” pastured eggs might give the chickens a nice life, but if they are feeding conventional feed, most of what the birds are consuming is contaminated with toxic agrichemicals. Some large companies are marketing eggs as “pastured” when they are housed in fixed barns surrounded by abundant green space. However, the birds don’t go out in the same numbers or have the same quality of feed as when they are rotated in the field. This is not a defined term, so any claim that the final packaged product is “humane” in any way should be accompanied by an explanation of what that term means. The USDA has approved third-party certification programs making “humane” claims, including Animal Welfare Approved, Certified Humane, and American Humane Certified. Although the organic standards include some limited animal welfare considerations, they are not currently being enforced as many consumers expect. Further, many third-party animal welfare labels amount to little more than marketing gimmicks. For instance, Certified Humane has no outdoor access requirements, no limit on size of flock, and allows beak trimming. At this time, the animal welfare certifier with the strictest standards is Animal Welfare Approved. Third-party animal welfare labels are free to change their standards (if they have any) whenever they like, and their inspection process may not even include viewing the farm in question. When choosing a third-party animal welfare label, it’s important to choose one that is transparent about their standards (you should easily be able to find the exact language on their website) and how a producer can obtain their label.